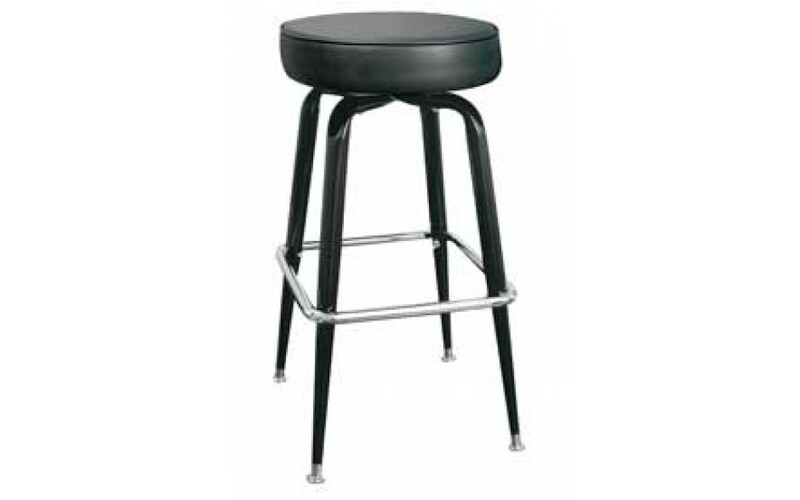 1 1/2” rugged, heavy duty tapered frame with a durable and easy to care for Black powder coat finish. 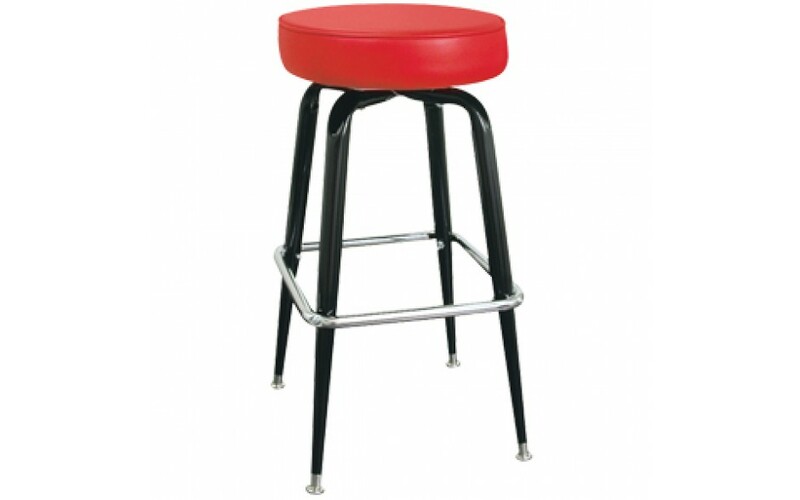 Features a 15” diameter x 3 1/2” thick backless swivel seat. they came fast and were easy to put together. they look nice not very comfortable I thought I asked the online chat what the thickness of the seat was and they came in much thinner than I wanted. The ones I had and were trying to match to were 3" thick. They are not as comfortable.